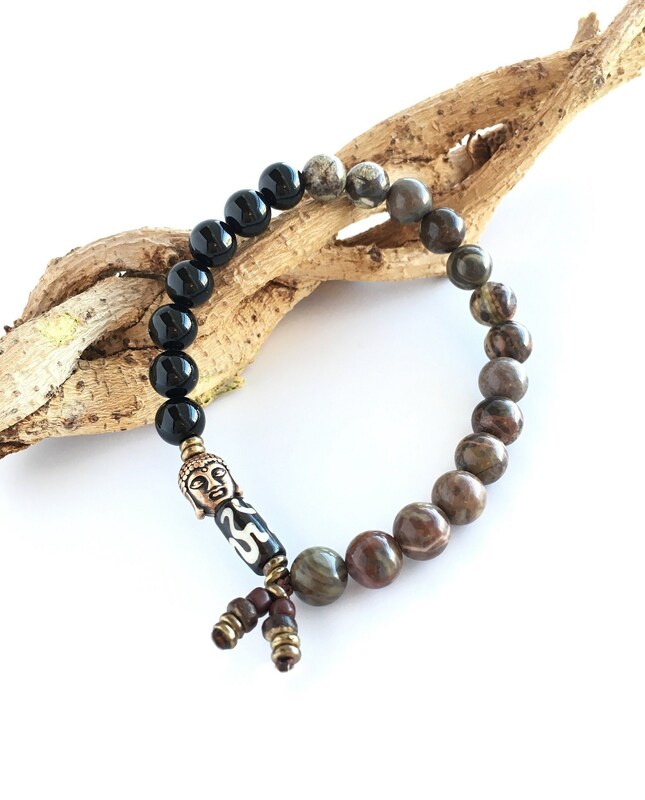 The Men's Strength Bracelet features earthy Rainforest Agate gemstones along with powerful Black Onyx, a Tibetan etched Om bone bead and a reversible antique copper Buddha head to help keep you grounded, protect you from negativity. and balance all seven chakras. My fiancé absolutely loves it!! 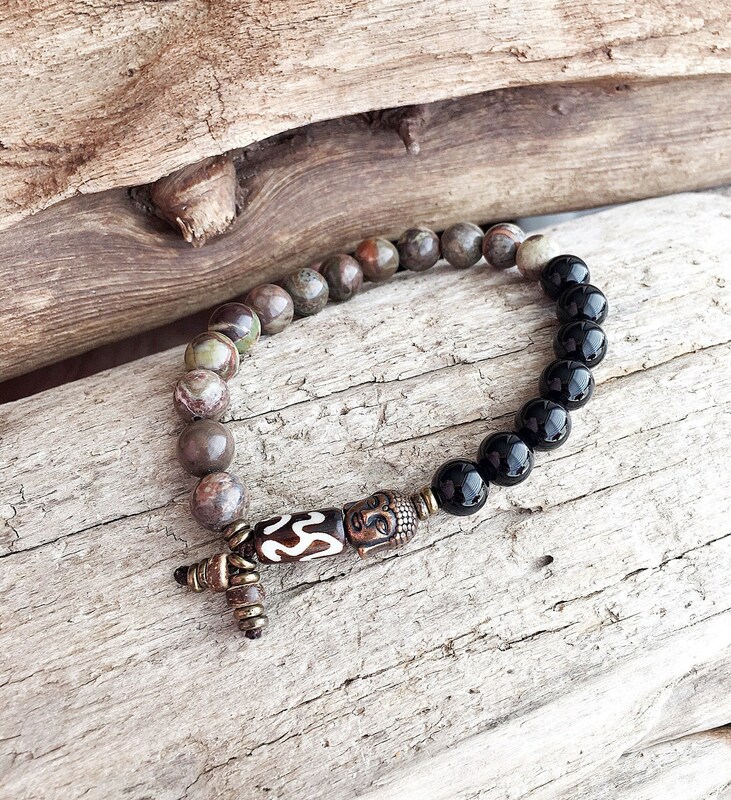 I have received several men's bracelets from Sacred Health Jewelry. The bracelets are beautiful, powerful, and very special. If you're a male or purchasing for a male, the men's bracelets are masculine. The service from Sacred Health is outstanding with a personal note from the owner and special boxing and wrapping if requested. My wrist size is 7 1/2 inches and the bracelets fit comfortably and not tight. 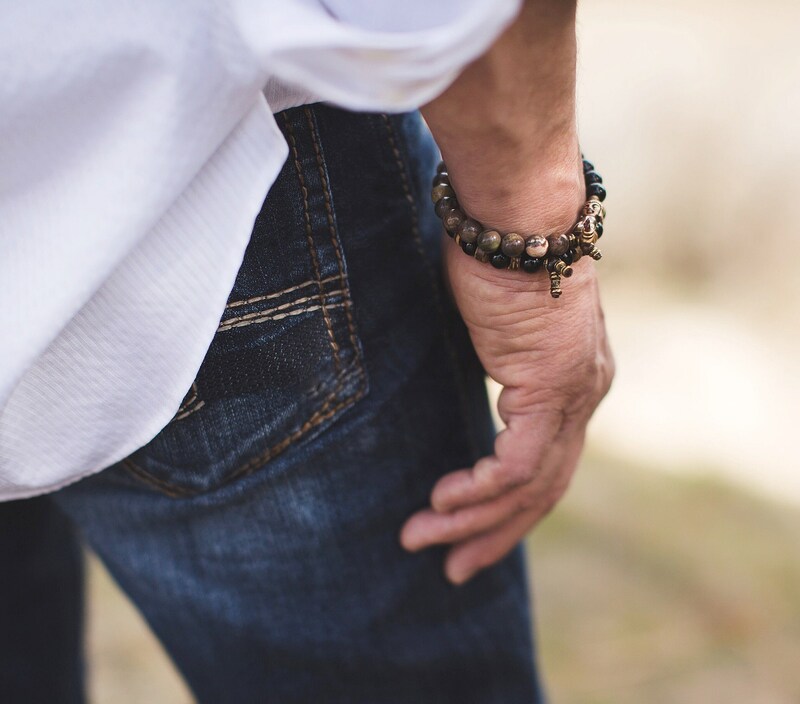 If these bracelets reach out to you, my recommendation is to give them a try, you won't be sorry.